To help prepare for influenza season get the FluView app from the CDC. 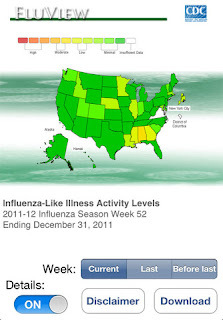 FluView is simple and easy to use, and allows you to view the last 3 weekly influenza activity maps for the United States. However, FluView is not as fun as Plague Inc. Reminds you when you should start checking patients with URI symptoms for influenza.